I don't care if you've been there a million times, went to school there, or happen to be visiting for the first time, there are certain things that must be taken advantage of when you visit a college town. 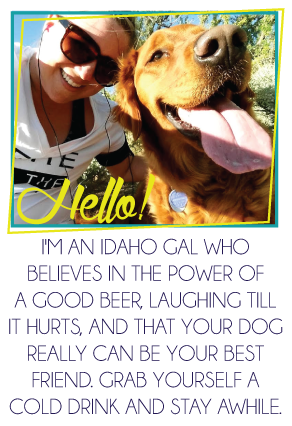 This post comes to you in light of my trip this weekend, to my Alma Mater, the University of Idaho. I will be making the 300 mile drive north to celebrate my baby sister's 21st birthday. I still cannot believe she's 21, I feel like just yesterday she was only 10. I realized as I planned my trip that there are certain activities and stops that I make sure to do every time I go to Moscow. Activities and stops that can be duplicated (and should be) in most likely every small college town in America. 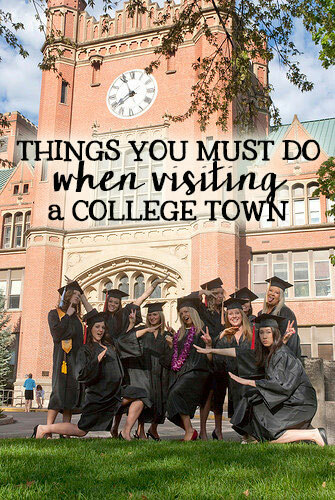 So, here you are, my recommendations for how to spend your next college visit! 1 | Tour campus. Not every campus is a spectacular site to see, I realize that. However, there's something so nostalgic about strolling through campus just to enjoy the scenery. You can schedule a formal tour through the school's visitor center, or just do your own. 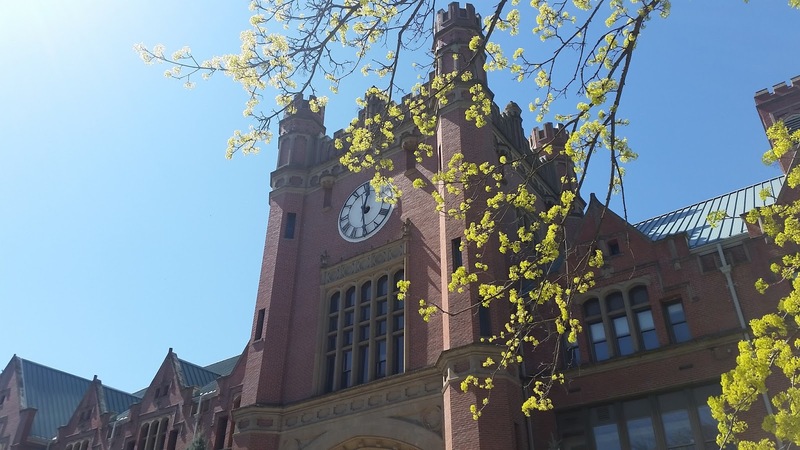 University of Idaho has a stunning brick and ivy campus (yes in Idaho) and is probably one of the most beautiful places in the country to spend a fall or spring. 2 | Check out special educational exhibits/performances. Although it's technically at the school next door (Washington State) there is a bear research facility right outside of Moscow that we make a trip to every time we visit. 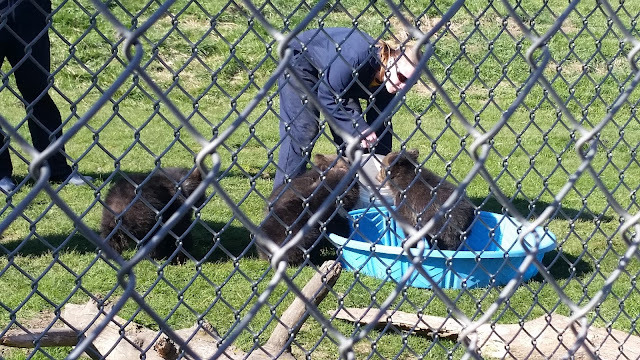 You may remember last time there were baby bears and it was amazing! Many universities have education programs and facilities like this. Do your research and check it out - perhaps a show at a planetarium? A live musical production? A special fish hatchery or nursery? Campuses all over the country have something special to offer. U of I? We have a cows with a window implanted in the side so you can access the digestion system. Yeah we're that cool... (kidding, about the cool part not about the cows). 3 | Attend a sporting event. Can I get a foam finger and a cheap beer in a keg cup please?! If you happen to be there during a major sporting event (good odds you may have planned your trip around one), make sure you attend. 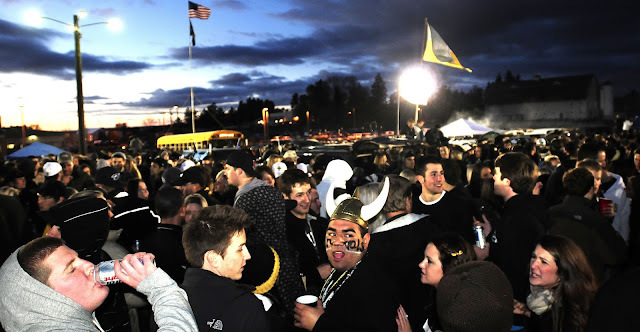 I highly recommend tailgating and mingling with the fans. Not there during a football weekend? Check out the school's website for other sports, perhaps catch a volleyball game or tennis match! 4 | Check out Greek row. 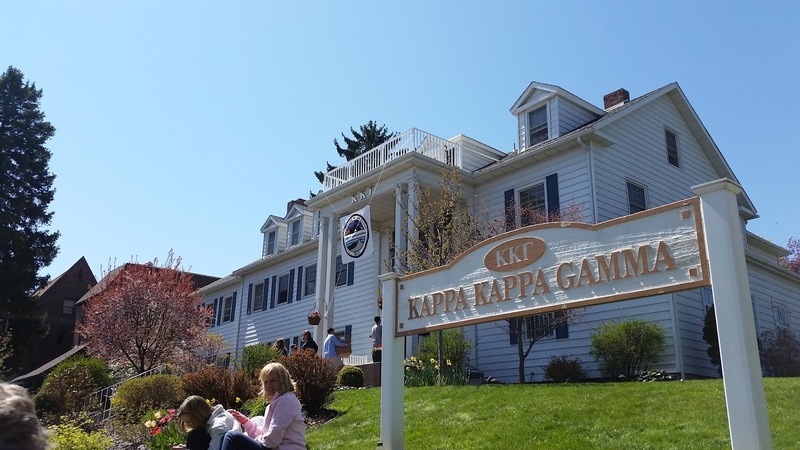 Ok, this one might be kind of Moscow specific, but I know there are similar campuses where the Greek system is big. Yes, this is my sorority girl plug, but even if you aren't a Greek you can find entertainment in looking at the places they live and what activities they may be taking part in right? Many groups decorate their houses for special events (i.e. homecoming), and in my experience the houses themselves are quite interesting and beautiful. I love to visit Greek row on other campuses to compare and to check out the architecture! 5 | Eat college town food. It's the best. Remember those days of not caring about your calorie intake? Those were the good days, and those college town haunts probably housed some of your all-time favorite meals. Don't know where to go? Politely ask a student or the visitors center, they'll point to towards something tasty! 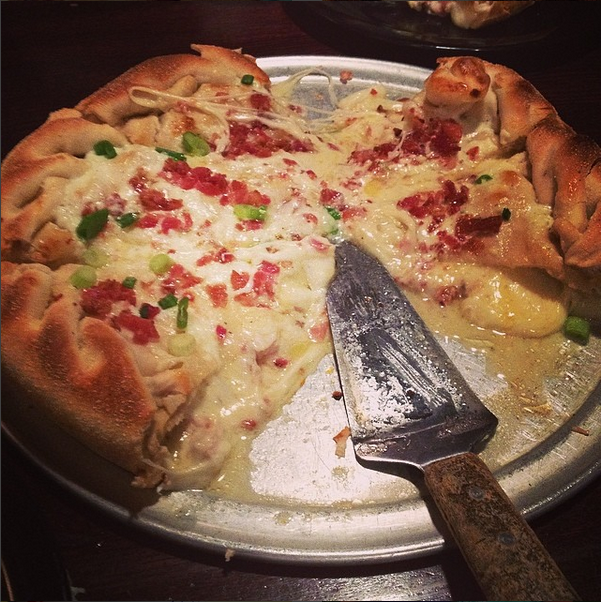 My favorite chicken bacon ranch stuffed pizza from Gambino's in Moscow. 6 | Hit the bar(s). Every college town has their "signature" establishment where you can get a special cocktail or a beer the size of your face. There's something about a college bar that just makes you feel good. The history of it, the thought of those who have been there before you, the energy they are full of on game day - there's just nothing better. Not a big fan of a crowd? Visit in off hours earlier in the day to check the place out before everyone files in. Sometimes you can score peanuts or popcorn, plus you'll be able to see the historic photos/decor/etc. better without a packed house. 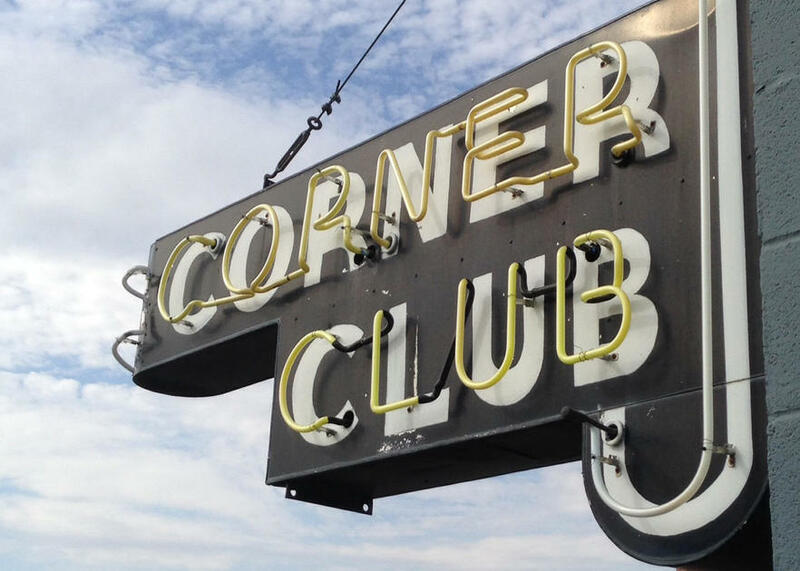 Our favorite haunt at the U of I, the Corner Club, is America's favorite historic bar, one of the Sports Illustrated top 25 sports bars, and on ESPN's list of 99 things to do before you die, so yeah, it's worth a stop (and one of it's signature 32 oz beers we call tubs). 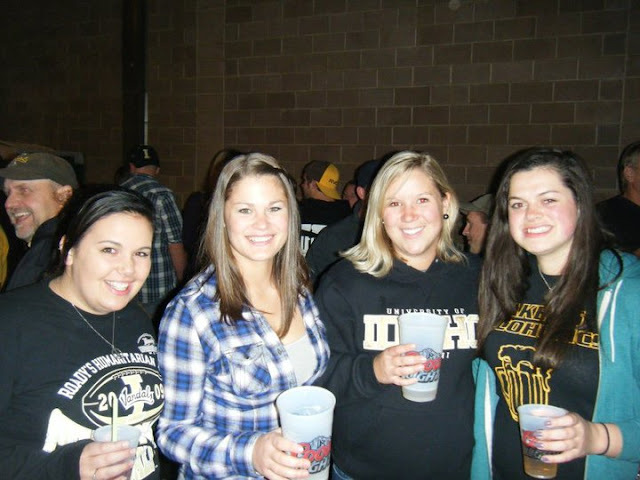 What are your favorite things to do in a college town? What's something about your college town I need to check out? Follow me on instagram to see all my college town shenanigans this weekend! Linking up with Joey for Stuff & Things. LOL the last time i went to a college town, i felt like the oldest person there and that everyone was thinking: WHO BROUGHT THEIR MOM because i was giving all the silly twats the side-eye for acting like hoes and the guys dirty stares for acting like douchecanoes! Yes to all of this! Especially the food. College towns have the best food. I keep trying to respond to your comments in email but google sends me the mailer demon and says it doesn't go through! Can you let me know what the best email is to reach you at so I can reply to comments? Also - I can't wait for the food this weekend. We have about 10 different places we want to go but obviously probably can't in just one weekend. We'll do our best though and hopefully I don't gain 10 lbs in the process! College food is the best! Great food and drinks for cheap! Campuses are usually so pretty!!! I like to hit up the coffee shops and find fun restaurants. Yes to all of these! 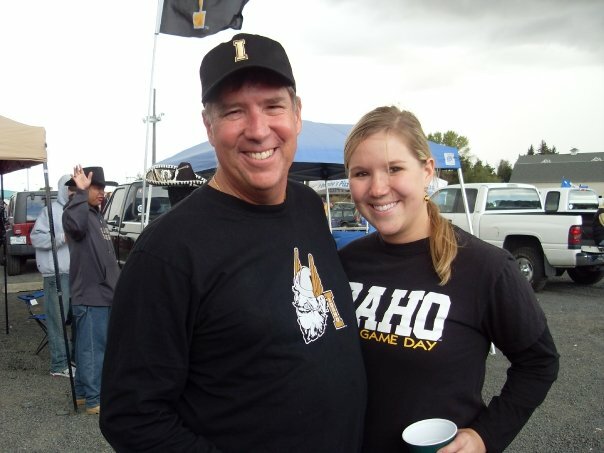 I have yet to ever go to a college football game :( It's on one of my hundreds of bucket lists. My college didn't have a football team! I have to say, college towns have the best food! There are usually so many random food places and stuff. I went to Boston last summer and i wanted to visit Harvard SO bad but sadly we didn't make it :( Guess I just have to go back! My husband recently graduated from college. Our campus is not all that impressive in size, but it does have it's pro's, like they have one of the few vegan restaurants in town, and for me, that's awesome! Attending a sporting event is HIGH on my priority list when visiting college towns. J and I lived in Athens, GA our first year of marriage (he was finishing up his masters), and I absolutely LOVED attending the UGA games!